Defendants in criminal cases are frequently caught in a web of fines and fees imposed at all stages of the criminal justice process. For poor defendants, these costs are often unpayable. 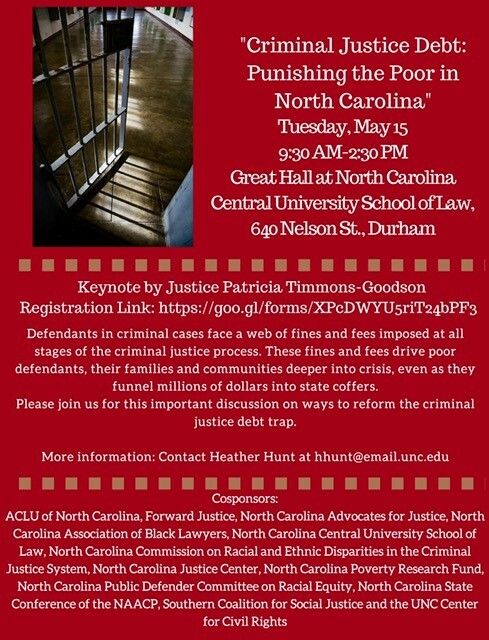 Set up to fail and sanctioned with additional fees, extended probation, license revocation and–in violation of constitutional law–jail, individual defendants, and their families and communities, are driven deeper into crisis, even as they funnel millions of dollars into state coffers. The Conference is free and open to the public though registration is required.